Have you ever looked at the fluffy clouds in the sky and wished you could hug one and snuggle it? Link is not a cloud but he is soft and cuddly and honestly better than one. At a year old he is past the main puppy stage but still playful and goofy. 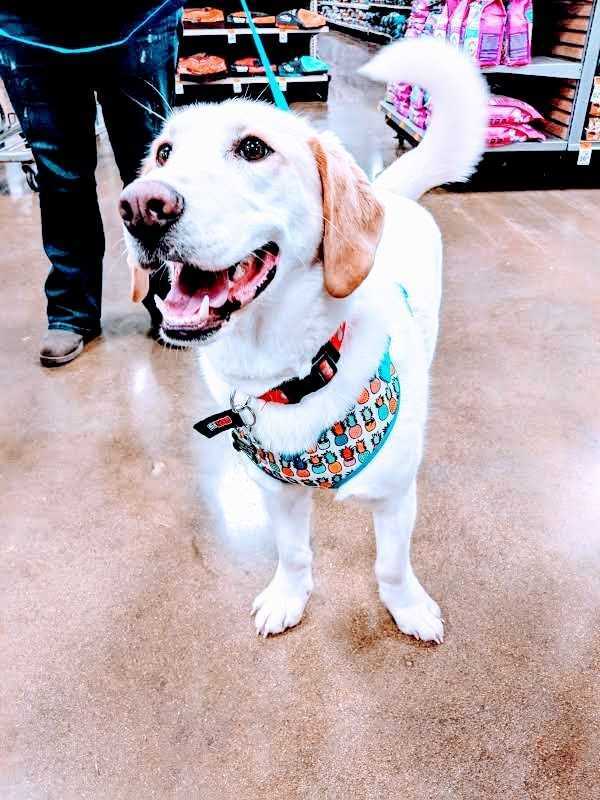 LInk is a Bassador (Basset Hound/Lab Mix). He is fully house trained and working on kennel training. He plays well with other dogs and loves kids. Link was dropped off at a shelter with his brother at 7 months emaciated. He was there until he came to BBRH. Shelter life is rough and he is learning manners and basic commands which he has picked up on quickly. He would do best in a home without smaller kids since he does not know how big he is, he weighs about 50 lbs. Link is neutered, heartworm free, current on vaccinations, and micro chipped. He is ready for his forever home. He is currently being fostered in the Omaha area.